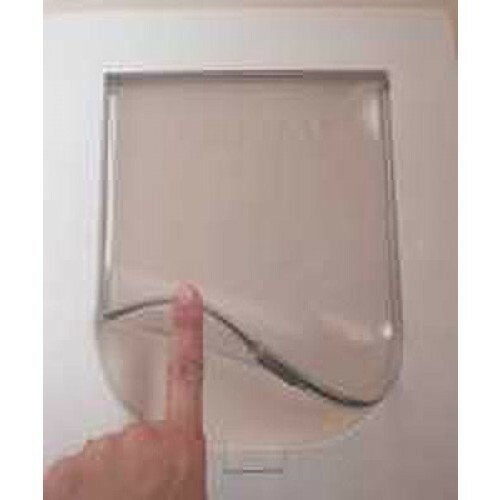 Replacement door flap for SMALL or MEDIUM Transcat pet door. 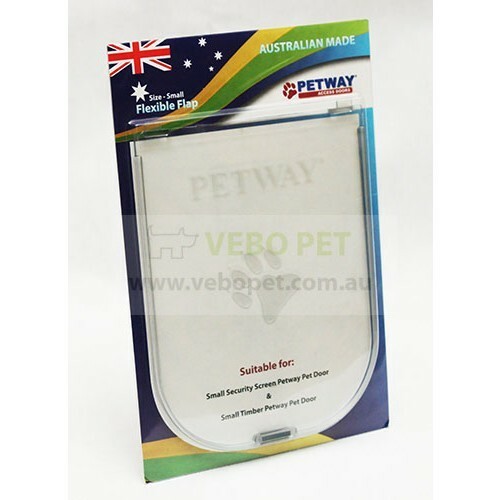 A flexible and quiet replacement door flap for the Petway range. Works with their security door, timber door as well as glass door range. 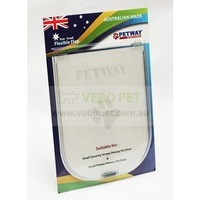 Simply loosen the screws on your existing Petway door and replace your broken or worn flap within minutes. Please note that this item is only for the replacement door flap.